The Turner Report: 12.23.10: Merry Christmas! Oops, We Mean, Uh... Happy Festivus! 12.23.10: Merry Christmas! Oops, We Mean, Uh... Happy Festivus! You good people lucked out! Queenie, toiling away at Turner Central (in commiseration with those North Pole elves everybody's always talkin' about), is bringing you the gift of snark today -- just in time for Festivus. It's better than giving you books, right? If you're at work: trust Queenie, she feels your pain. If you're toasty and warm at home: got your jammies? Maury on the TV? Your hot chocolate? (If it's an Irish coffee, we support you.) Time for a little holiday fun! We passed DADT. (Yeah, Harry! And thanks... Murkowski?) We passed START. We passed that 9/11 healthcare bill. We passed the food safety bill. We done got some stuff SIGNED yesterday, and Democrats are experiencing a great buzz -- a combination of joy and relief, with a twist of self-congratulations and the bitter aftertaste of failing on the DREAM act. 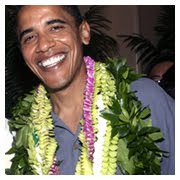 The "persistent" Obama went to Hawaii yesterday feeling pretty awesome, we imagine. He's probably sipping a fruity drink with an umbrella right now, reflecting on his legacy while the kids play by the pool. Aaahhh. But he's not necessarily the comeback kid. Not yet, anyway. He's got a lot of challenges facing him after this vacation, and these victories -- while awesome -- are nothing compared to that whole "economy" thing. (Don't mean to get all Debbie Downer on ya, folks, but someone's got to stay a liiiittle grounded!) So rest up and recharge, Barry -- we need you to come in swinging in January! John "Grandpa McGrumps" McCain has successfully voted against every single policy priority from the White House this year, and he's celebrating with a wave of bad press. My, my. This made the rounds: Sarah Palin would never kill an animal for anything but food. Right, Bear-skin-rug-on-her-floor? And, Oprah is the Queen of Backhanded Compliments -- check out what she said about Sarah. Joe Miller's campaign: TKO. Seriously, Joe, this is just embarrassing. For you. 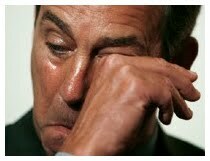 We're almost done here, folk s, and we're looking ahead to the dark days of January, when Boehner triumphantly sobs his way to the House as Speaker. Check out Ben Stein's seven lessons of 2010 and take #5 to heart. What's next on the agenda? Talk of filibuster reform has hit the airwaves, as Dems are pushing for a way to capture that magic unicorn in the new session. It looks like it could be reality, since Mitch McConnell has been declaring what an a** he plans to be for the past few weeks now. Speaking of Mitch, is he losing his touch? We'll see what Republicans will be sipping in the new year, and we'll hope for just a few more things on the wish list (since we've been very good boys and girls, of course!). Immigration reform, anyone? It's been a tough recession.